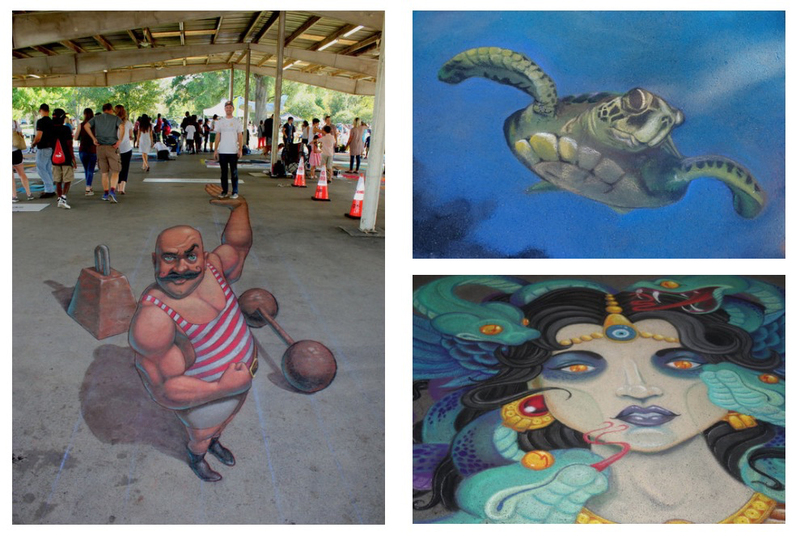 Nashville Chalk Fest, a street-painting festival featuring professional artists, hobbyists, and art enthusiasts, is at Centennial Park on Saturday and Sunday, September 22-23, 2018. Attendees can expect entertainment, food trucks, and family fun like face painting, inflatables, and live music. Admission is free and open to all ages. Proceeds benefit Vanderbilt Bill Wilkerson Center Department of Hearing and Speech Sciences.